Robots is an animated comedy about a world populated by intelligent robots. 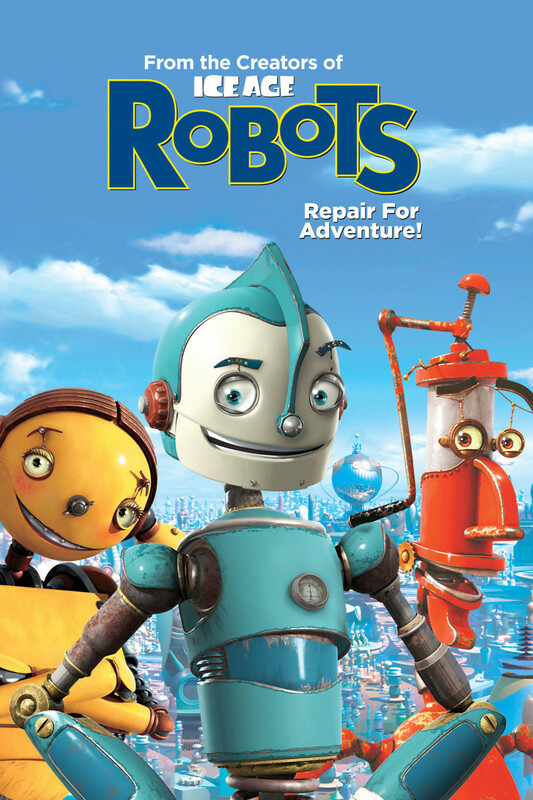 The story focuses on Rodney Copperbottom as he strives to become an inventor. He travels to Robot City in order to meet his idol, Bigweld. Complications arise when Rodney discovers Big Weld hasn't been seen in some time and his company is being run by a robot named Ratchet. Rodney meets a group of misfits that are considered undesirable “Outmodes” because they must struggle to find replacement parts instead of buying expensive new upgrades. Rodney finds Bigweld and convinces him to come out of hiding to stop Ratchet and his mother, Chop Shop owner Madame Gasket. Rodney, Bigweld, and the Outmodes come together to fight Ratchet, Madame Gasket, and a fleet of robot mashing Sweepers.